1 - 20 of 119 entries. Guestsatisfactionsurveys.com is an informative website comprised of many businesses to help discern how guests feel about a certain business and the services they provide. The de facto standard search engine for finding people, business and places across the UK. A business search engine, business directory and business forums. A UK Local Directory is the rapidly growing network of genuinely local community focussed websites actually run by individuals from the local community. Directory listings for freelancers and small business owners including articles, consulting resources, tips and advice. Directory of family friendly sites sorted by categories. Plastics, rubber, packaging B2B online marketplace providing buy, sell and business offers. Information on businesses, events, real estate, churches, schools and more for Athens Alabama and Limestone County. A business directory of local networkers in Austin, Texas. Find entrepreneurs, small business owners, and sales professionals. Also find a networking and business events calendar for Central Texas. B2B West Yorkshire is a new online business directory.Providing users and advertisers with a unique business resource.As well as contact information,web links,map links etc. 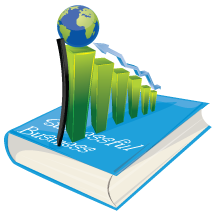 Hand picked directory of business sites, services and tools for small and medium businesses. Divided in 16 categories. A UK based search engine friendly business directory listing a range of business sites. Browse through selected business resources online at a human edited business directory of services, information, and products. Over 125 industry research reports and 1.5 million company profiles in the business services sector. Comparative information presented in text and graphs. Helpful links, advice and support for businesses and the self-employed. A comprehensive online search engine and directory featuring quality hand picked business sites. Brampton Business Directory. Directory guide to Brighton and Hove, UK, including restaurants, shops, exhibitions and local experts. You can build a custom map to everywhere that interests you in the city. Welcome to Business BC, British Columbia's newest and most user-friendly premier BC business directory in the province.